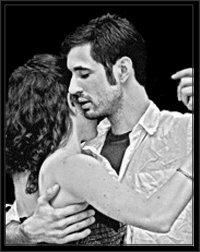 Hard Road Tango - Joseph Leonardo: Tues, June 2nd LAST PSU Tango Club Practica of Spring Term! LAST PSU Tango Club Practica of Spring Term! Well, this will be the last PSU Practica of the school year. The Tuesday night Practica will be on hiatus during the Summer, but will resume on September 29th 2009.